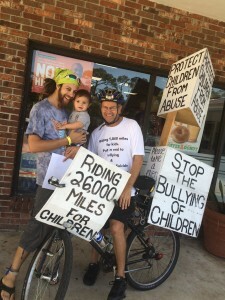 Thank you to David for introducing himself and his son, Malachi to me as I weaved the streets of downtown Naples. In the short time we talked, I can see how kind and caring of a father David is. It’s such a breath of fresh air to see how involved so many fathers are towards their children. This entry was posted on Thursday, January 26th, 2017 at 8:32 am	and is filed under Kindness. You can follow any responses to this entry through the RSS 2.0 feed. You can leave a response, or trackback from your own site.